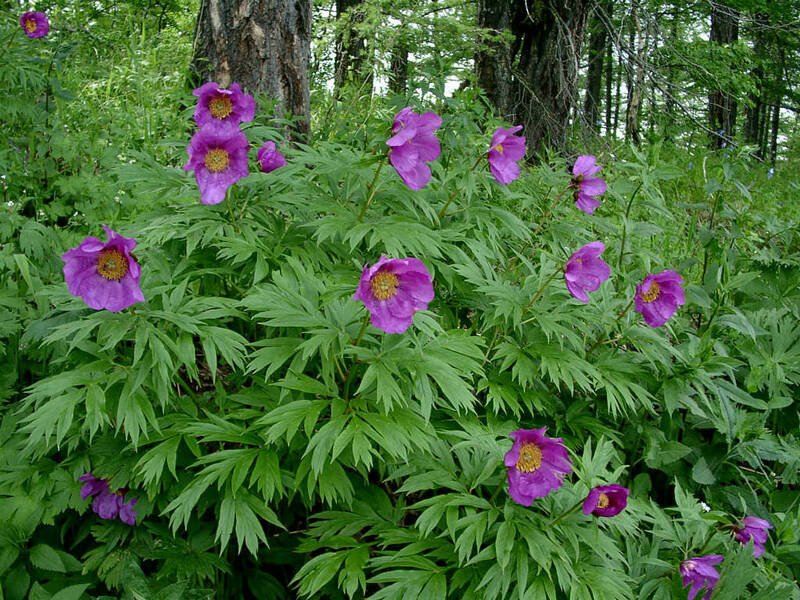 Paeonia anomala is a herbaceous, perennial peony up to 3.3 feet (1 m) tall, with dark green leaves, gray-green beneath, each with 9 narrow leaflets, with bristly veins above. 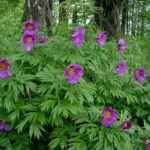 It produces single, cup-shaped, bright reddish purple flowers, up to 4 inches (10 cm) across, with rounded, wavy petals and golden yellow stamens. USDA hardiness zones 4a to 8b: from −30 °F (−34.4 °C) to 20 °F (−6.7 °C). 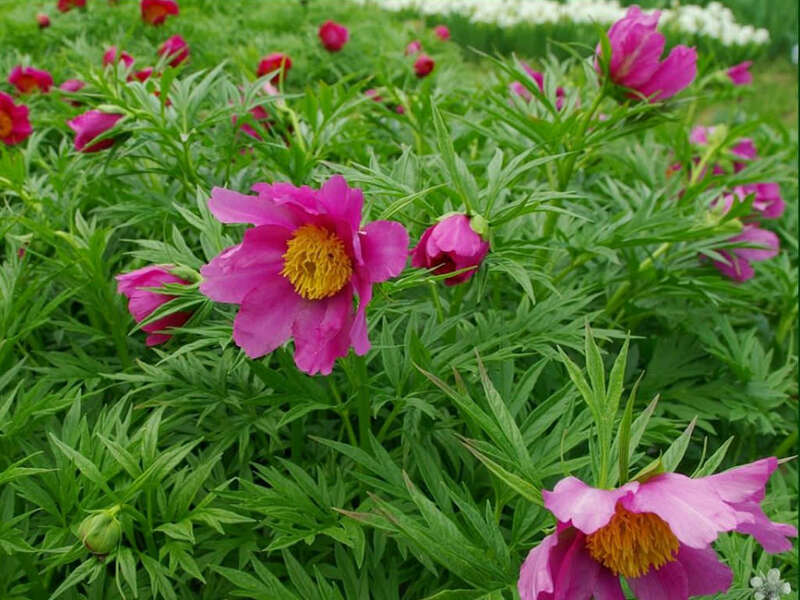 The hardy Peony plant prefers full sun, pH-neutral, well-draining soil and a deep cold spell each year to help it regenerate in the spring. 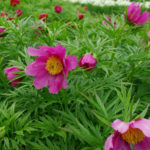 Depending on the variety you choose, they can flower from spring through early summer with plump, showy, feathery blooms in hues of pink, red, peach and white. 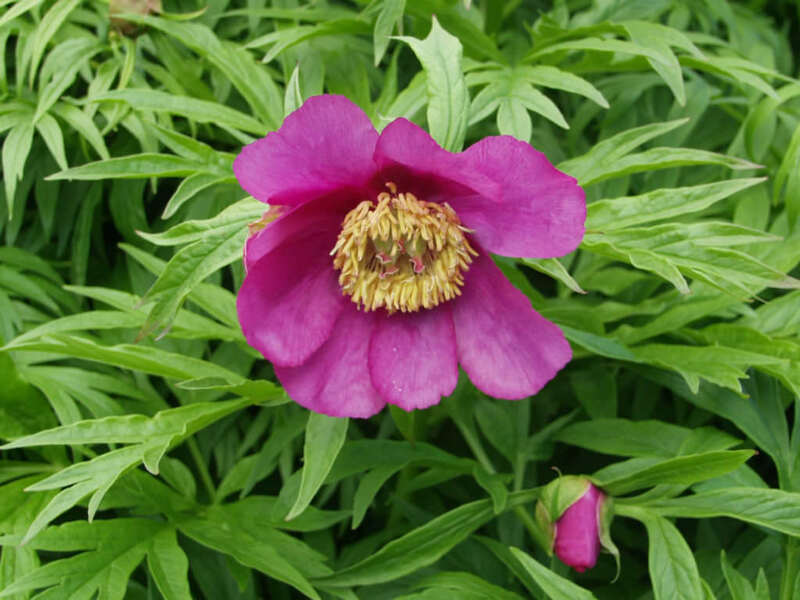 Unlike most perennials, Peonies do not need to be dug up and divided as they grow and mature. 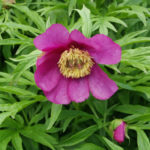 The ideal time to plant Peony tubers is in the late fall before the first hard frost. 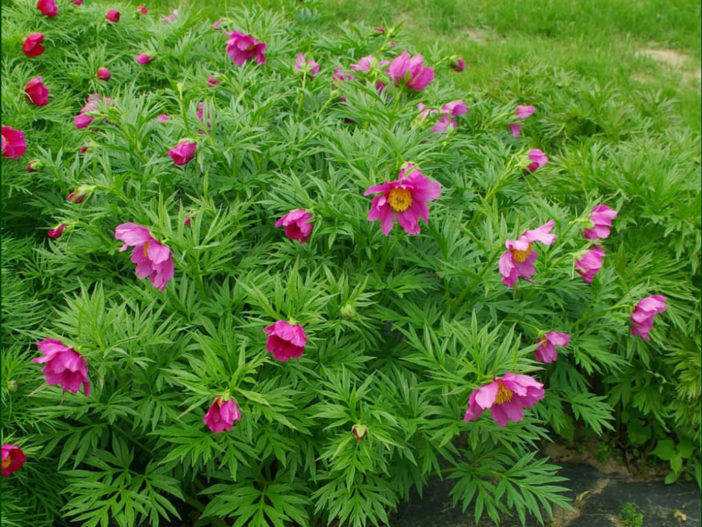 Peonies do not respond well to being transplanted, so we recommend planting tubers, rather than transplanting an established plant. If your newly growing Peonies seem leggy or are starting to bend close to the ground, gently stake the plant stalk so it remains upright. Paeonia anomala is the widest-ranging species geographically. Its natural range is through the Ural mountains of Russia from the Arctic Circle into Mongolia and northern China and into other parts of Siberia.